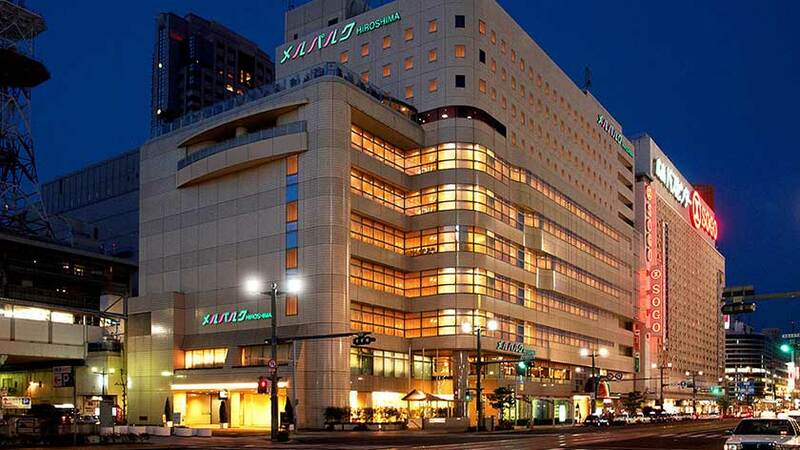 Hotel Miel Parque Hiroshima is located in central Hiroshima by Kenchomae Station and Kamiya-cho Nishiteiryujo Station. 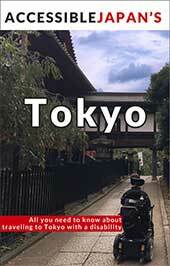 It is within walking distance of both Hiroshima Peace Memorial (Atomic Bomb Dome) and Hiroshima Castle. Each guestroom is equipped with a refrigerator, television, air conditioning, safety deposit box, and free WiFi. The hotel has a concierge and buffet restaurant. The hotel offers one wheelchair accessible twin room with an additional cot. 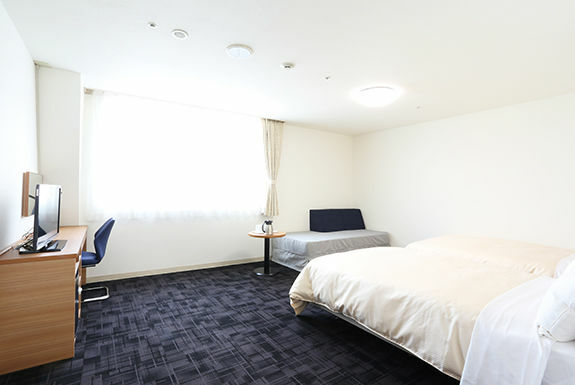 The room is 35㎡ and located on the 9th floor. The door to the room is 90cm and the door into the bathroom is 91cm wide. The bathroom is tiled and has a drain in the floor so it is possible to shower on a shower chair next to the bathtub if necessary. 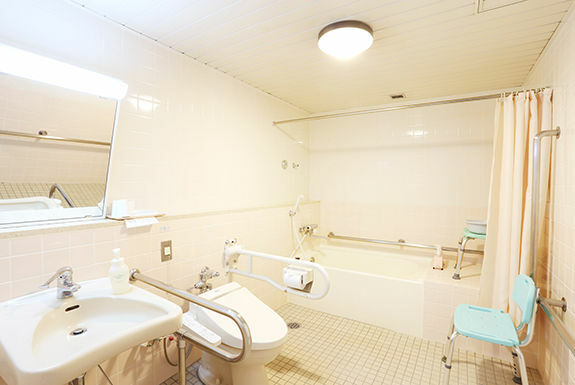 The toilet has handrails but no backrest.